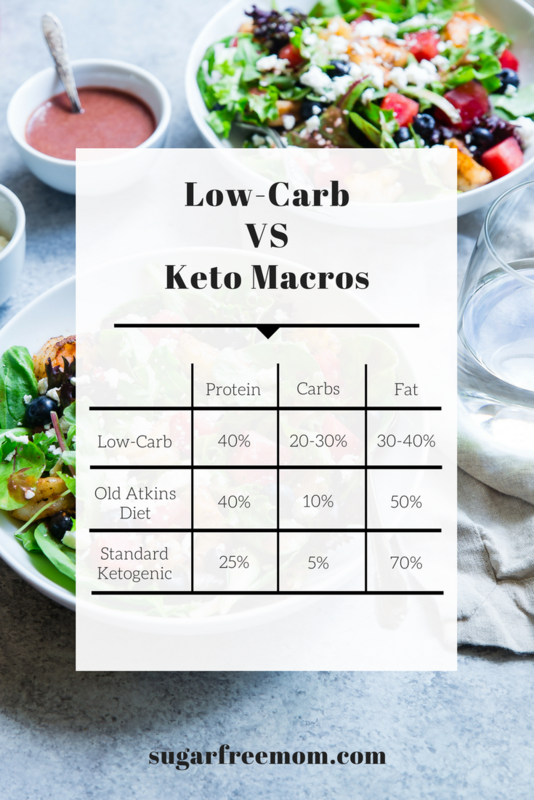 The differences between a Low Carb Diet and Ketogenic Diet and my 6 Week Keto Results! My video above goes into a lot more details of what I did for the 6 weeks. But basically you can see the results in the photos below. May not be as dramatic as I would have hoped in 6 weeks and I may need to change some things over the next few weeks if I don’t see results, but overall I’m happy with my small improvements. Like my Coffee shirt in the video? You can get one for yourself at this link! I realize the right pic looks different or that I’m more tan looking, but it was just taken at night and the bathroom light was needed whereas the first pic was in the morning with daylight from the window. Crazy right though? I just can’t even believe it for myself until I see this picture of my mid section! I’m truly in shock how it was just 2.4 pounds I lost in 6 weeks and just a half percent in body fat. But clearly the keto diet produces results. I feel better. I look leaner and more toned and I’m just motivated to continue on even though I’m not one of those people who have lost a crazy amount of weight in a short time. I’m in it for the health benefits I mentioned above, but also I’m feeling pretty darn good in my size 6 pair of jeans! Maintaining a healthy weight has never been easy for me. I’ve struggled with sugar addiction and weight gain since I was a teen. You can read about my whole journey here and see Before pics as well. But since I’ve been low carb over the last 4 years I’ve been able to easily maintain my weight. Now with keto, I’m hoping to change my body even more. I may not lose “pounds” but just seeing these results shows the scale number is just one measurement and to me the body fat number is more important. It’s worth it and I hope you’ll be encouraged to do something different in your life if you are at a plateau or just dissatisfied. You can’t keep doing the same thing over and over again expecting different results. If you have any questions getting started, just leave a comment on this post. I’ll be happy to answer as much as I am able and if I don’t know the answer as I’m fairly a newbie to this, I will certainly do my research or ask a keto expert friend, since I do have a few of them! Hi Brenda. Pics look fabulous!! You are an inspiration! I’ve been following you for a while now. I’ve really been enjoying your recipes. It’s an added bonus that you are a Patriots fan! Quite by coincidence I started Keto around the same time as you. I’m 48 and had been struggling with hormones. I’ve lost 10 pounds, not bragging as I had far more to lose than you. I have 2 questions. First, I’m struggling with getting all of my fat in. Never thought I’d tire of avocados. Do you have any good fat bomb recipes? I’ve tried many online and they just don’t taste good at all. Hoping with all your experience you may have some ideas. 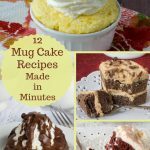 Most websites have the same recipes as others. Second, I have not started exercising yet. I am Tupe 1 diabetic and trying to level out my blood sugar before starting (so far so good). From all I’ve read Keto does reduce your strength some. Most report a challenge with high intensity workouts or sports. Have you had any challenge with working out? Or needed to adapt your plans? Thanks. Keep up the good work!! I think my 3 ingredient Peanut Butter Fudge is an awesome fat bomb! I’ve not had too much trouble with my workouts and I’m doing them in a fasted state. I’ve heard consuming bone broth before a workout can definitely help because of the sodium. Hi Brenda, I’m a fan! I love what you do! Pictures look great! I’m 61 Keto for 14 months and 60 lbs off! 10 more to go. I eat at TDEE to loose it works for me. I’m 5’8” 1900 calories 20 total carbs 50 protein and 182 fat. Copious amounts of fat! I speed walk. I live too far a gym to go. Rural MS! Blessings on your journey. Thank you for all you do! Hi Vivian – I am 60 yo and researching Keto and would love more information from you since we are same age. What is TDEE? What fat sources do you use and how much daily? What are some meals you make regularly and what does a day of food look like? What is the easiest/best way to count carbs getting started? If you and Brenda are ok with you giving me your email I would love to learn more from you! I just need some help getting started. Brenda – thank you for all your information and recipes! How funny.. my two questions are the same as Kate above, except that I’m not diabetic, but I am 51 and struggling with hormones. Thank you for this post, very accessible and informative, and thank you also for all you contribute to the low-carb cause. You look great! Actually your recipes are linked on several Keto groups. That is where I found you and have been following for awhile. Sometimes just a small adaptation is needed. If you are recommending a blood meter for ketones, you should consider the Keto Mojo. They have a great meter and their strips are only $1 each. Keep up the good work. I have been on Keto since June 15, 2017 and have dropped from a size 18 to a 10 in most brands. I can squeeze into a 6 in NYDJ. LOL. That was with 55 lbs gone. Congrats to you and thank you! At 64 I had over 125 lbs to lose. I started a Keto Diet 7 months ago and have lost 75lbs. I have a number of autominnune issues and my health was so bad I was almost bedridden. I now do a water workout twice a week and yoga. I can see a low carb diet being my way of life after I get down to my goal weight. I feel so much better and I agree I am never hungry. I recommend the Bullet Proof Coffee for Kate. Coffee with cream, coconut butter and butter, blend. Adds fat to your diet and keeps you full. I was doing a bullet proof coffee for a while but trying to skip that because I want my body to use my fat stores instead of the fat I’m consuming. Well from what I’ve learned and of course there is conflicting info, no one is really an expert and every person is different, but I lose the bullet proof coffee but I’d rather “eat” my fat amount later in the day I guess. Like in the form of a sweet fat bomb or something. I’ve read that too much fat for where I’m at with just like 5 pounds to lose, I may not see the scale move because my body will only be burning the fat I’m eating. I’m still experimenting to see what works best for me. Right now I’m slowly losing and seeing results. I guess if the I stop seeing any results I will have to change things up. I will be sure to post about it. I am doing keto for 2 weeks and see no results or difference at all! I feel very good but no weight loss. I have been low carb for a while before keto. Is this normal in your opinion? Well it depends. How much weight do you need to lose? If you are like me, and only 5-10 pounds then yes you might be a slow looser as I was. But if you do have a lot of weight to lose and haven’t seen any chances in two weeks I would ask if you’re counting your macros or just guessing on amounts. I would definitely start tracking your food because often you are eating way more than you think. Hello Brenda, I have been reading your blog for awhile now. I have a hard time sticking to the Keto diet, is there a plan to follow? I also wanted to ask; “are you a diabetic? will this cause diabetes if you fall back to your old ways? Thank you! I don’t have a plan but I think my next post will be what I eat in a day and some ideas for recipes that are easy without much prep. I really appreciate this article. I have done low Carb for the most part for over 15 years and was able to keep my weight down. Now that I have gone through menopause is just keeps getting harder. 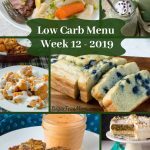 I try doing keto but tend to fall off the wagon a lot and go back to low Carb or Weight Watchers. Simple ideas would be great. 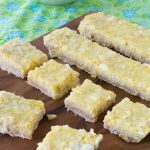 I think some keto bloggers make it seem that you have to create difficult recipes. Thanks for all you do. Easily with kerrygold butter on meat, love that stuff or olive oil on veggies. I ditto that. I’m starting the keto diet, but am struggling to get my macros right. I usuaslly end up with too much protien and not enough fat. A daily “menu” to try to copy would be great! I”m 59, almost 60 and have about 20 to get off. My birthday is October and would like to have this gone by then! Thank you for all you do. I love reading your posts!! Thanks Debbie, I will work on it. I mean even if you’re not exact on the fat and protein the most important part is really not going over the 20 net carbs. Thank you Brenda looking forward to your next post so I can get an idea on what to eat daily when I start the Keto diet as I have about 12kg to shed. Love your recipes been following your blog for a few years now. I have a couple of questions; does this promote diabetes if you fall back to your old diet? How do you stick to the diet? How does this affect kidneys? No definitely does not promote diabetes and can in fact help people get off meds too! Drinking lemon in your water helps you not to get kidney stones. Thanks so much for sharing your results. You look so good, and you have inspired me to try a more structured version of the Keto Diet. I lost some weight recently on HCG 2.0, which puts you into ketosis (keto flu and all!). I have tried to maintain my weight loss with a version of the Keto Diet, but I know that I am probably still eating too many carbs and not enough fat. I am 47, and I contine to have issues with keeping the weight off despite a healthy diet and exercise. I am sure it is hormone-related. I really appreciate all of your recipes. I have tried many of them, and my favorite (and my daily breakfast) is the blueberry english muffin bread. It helps so much when you miss bread. I wish you well moving forward and can’t wait to see your future posts! So happy that I inspired you! Thank you! Brenda! This is phenomenal! Way to go. Thank you for your bravery and courage in posting those photos – you look amazing! You have inspired me. I am going to do a six-week challenge of my own, including photos.. I can’t wait to see the results . Six weeks goes by pretty quickly. I was on the ketogenic diet for 6 months to support my husband, who is on it permanently for epilepsy. The diet totally messed with my hormones, which my doctor and my husband’s nutritionist sadly confirmed was a possibility. I am continuing to eat low-carb, but the ketogenic thing unfortunately seemed to work against me as a 49-year old pre-menopausal woman. I am glad to see this lifestyle working for you! Love your recipes and your inspiration! Thank you! I think though many doctors and nutritionists are not keto friendly at all. They still believe in moderation and that grains are important, my own hubby’s doctor, same thing. That way of eating has failed for so many of us, even my husband. 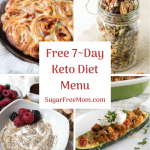 I think the keto diet is especially helpful if you’re in pre-menopausal, but that’s just my 2 cents. I’d say do more research. I’v found Dr.Jockers on youtube and Dr.Eric berg to have sound advice. Exactly. Keto worked miraculously for me pre-menopause but my 50’s have been rough terrain-I’m 55 now. I don’t know what the answer is and it is **definitely** harder during menopause. I’d love to hear from other mid-menopausal keto ladies if and how they’ve had success. I am post menopause and I did lose about 40 lbs. Then I stalled and stalled. I was too hot all the time and was having sleep issues. I added more carbs and was better. I attempted keto/ low carb again in January. Two weeks in I had the same symptoms. It is not uncommon. It works well for some but not for me and a few of the other women at my gym. I liked what I was eating and I stuck to it through the stall but no. With the guidance of my trainer I have modified it, lost weight and feel great. Sleep helps! So glad to hear that I’m not the only one that’s not dropping pounds/inches like gangbusters…I’ve been “pretty” low carb/keto, lift twice a week and cardio 3 other days and nothing…nothing happens. I’d like to lose 10-15 pounds and just can’t seem to get anywhere…55…post menopausal. I’d say that my carbs are generally around 30 per day or less and I do IF. Love to hear your thoughts. Thank you so much! How did you find me through Dr.Berg? The pictures look great and yes I brought about the advantages of the keto diet. My question is is I am a type one diabetic and is this type of a diet healthy for me? Absolutely, very helpful for regulating blood sugar for diabetics. Hi Karen. I am also a type 1. Keto works great for me. My blood sugars have never been better. You will need to pay attention to your insulin needs. When you go low carb you do need to start taking some insulin for protein. There are Facebook groups that can help. Diabetics transitioning to LCHF is one. Thank you for mentioning this Facebook group. I was just diagnosed in November with Type 1 (51 yo here). I have been on Keto for about 3 months. Unfortunately, I lost so much weight that I am trying to gain. I will look up this group. Hopefully, someone will have some pointers. Ok I am a dummy when it comes to media….but how do I follow your blog? And where do I find your recipes? You can find all my recipes on the main landing page of my website. There’s a search bar at the top and you can type anything you’re looking for, if I’ve made a recipe for it you’ll see it. Also there’s a tab at the top of the page that says recipe index and a ton of categories for you to find what you’re looking for. 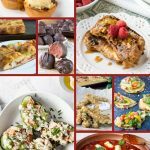 If you want to never miss a new recipe, I post twice weekly, you can subscribe to my website by adding you email address in the middle of the landing page, that says, Never Miss a Recipe. Hope that helps! Good for you!! You look very trim and healthy. I started Keto in mid March, 2017, weighing 160 lbs.. By June 1 I had lost 20 pounds and today I weigh 133.8 lbs. 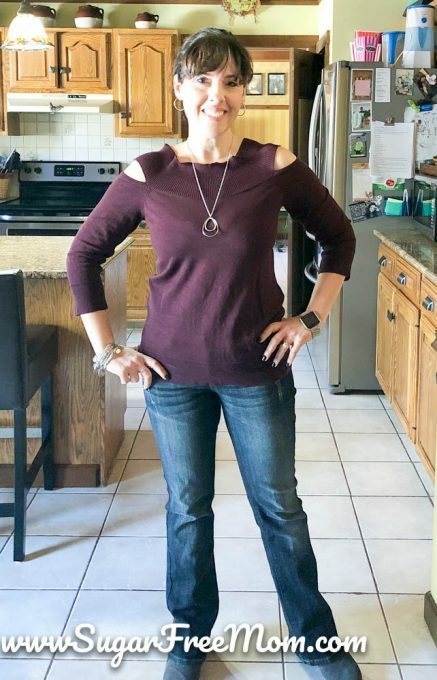 I was wearing very tight size 14 jeans and refused to buy 16’s, thus my Keto journey began. I’m now wearing size 10 comfortably, the fat rolls are gone and I’m never starving. In fact, I have to remind myself to eat. Keto has become my lifelong eating regimen. Hi and thanks for sharing! Like you, I’ve been low-carb and for a while (a loooong while) low fat. I want to try a Keto diet, but am “afraid” of the fat; similar to your situation. I don’t have weight to lose, but definitely am in the same boat about not liking the shape and firmness (lack of) my body despite daily exercise and weightlifting. I’m not an egg person at all. Any ideas for breakfasts? And, how do you feel about getting your carbs from veggies as those are the love of my life! You can definitely do keto without eggs. For a while I just did bulletproof coffee for breakfast which is super filling. But I have my 2 minute english muffin you might like. And my Crock pot granola is fantastic too with unsweetened almond milk. I love all veggies but I did have to cut way back in order to not go over my 20 net carbs. I just make sure to enjoy different veggies each day so I don’t feel like I’m missing out. You’ve had some amazing results! I love the fat too and it really came naturally to eat that much!! Is it ok to be on the Keto Diet if you have High cholesterol from family genetics? High cholesterol runs in my family, both my parents. I would say you should still do your research, like reading the book Cholesterol Clarity by Jimmy Moore,https://amzn.to/2K2IxDv. Brenda, you said you want your body to burn the fat you have stored not te fat you eat. How do you accomplish that task? I’ve been making Keto meals but really haven’t noticed a drop in weight or much of a difference in my composition. What could I be doing wrong.? I’m 5,0” and 141 post menopausal. But are you tracking your food intake into a calculator? You could be eating low carb but higher than needed for a keto diet. I’ve also been following you for awhile, when I knew I needed to cut back on sugar. I am a 56 yo woman who started Keto just after Christmas and am down 12 lbs so far. Many, many more to go. I was looking for recipes and ran across yours, again, thank you! And btw, you look GREAT! Having digestive problems with low carb, in-controllable diarrhea. I did find an article that helped, but wondering if high fat would do more damage? Would link the article here but not sure if that is allowed. I’ve not heard of that happening on keto, more often I’ve heard people getting constipated, but that just requires adding magnesium to your diet which I take nightly. I too have been following you for a long time, trying your recipes and loving most of them. I am 4 days into the keto diet. I have not looked at the scale yet, but I kinda feel like my clothes fit a bit better. I am not in ketosis though…I was glad to hear that it took you a bit longer to get there so I don’t feel like I am doing it wrong. I am 62 and 5 foot 2 and I just can’t seem to keep my protein low enough. Too much meat I am guessing. I am trying to stay at 1330 calories, 105 grams of fat, 20 carbs, and 76 protein. I am very interested in learning what you eat in your typical meals for the day. I use the free version of My fitness pal. I want to do it but i dont know where and how to star any recomendation ? How did you start how did you learn what kind of food to eat? And also how myfitnesspal calculate net carbs? Cuz for me puts general carbs. Thank you!! You look beautiful by the way!! My Fitness Pal doesn’t calculate net carbs but you just subtract the dietary fiber from the total carbs you’ll have net carbs. LOVE keto! I started January 23rd and have lost 17 lbs!! One more lb and I will have lost 10% of my body weight. 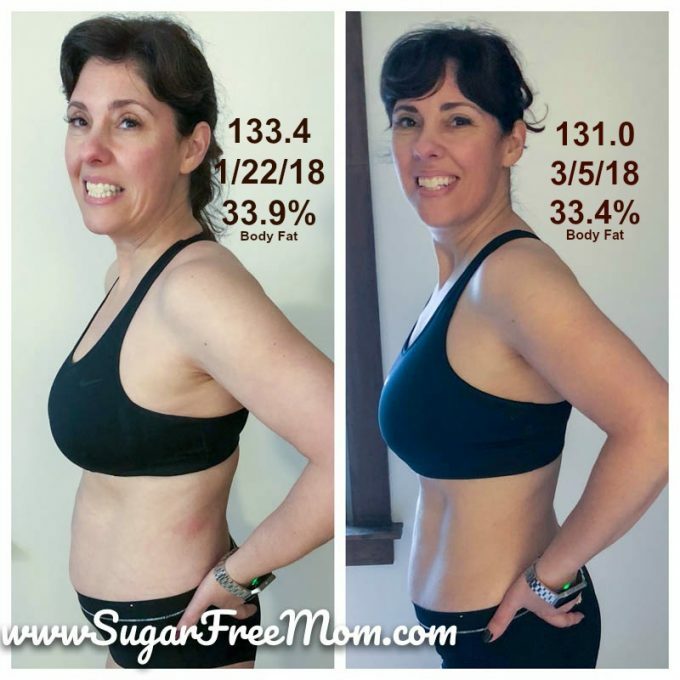 I am so excited about these results and feel great! I wish I had taken before pics, but people are noticing. I was “winging” keto for most of this time, not truly counting macros. Just yesterday I downloaded carb manager and boy was it eye opening! I feel I am now better equipped to make this work. Most importantly, I’m excited to see what my A1C is next month. By my lab values, I am a diabetic. It runs rampant in my family. I do not want to have to go on medication…hoping to get things under control with diet and exercise. I am so thankful for all the wonderful resources online that are helping me do this and for a network of encouragement as we all try to be a healthier version of us! What great results you’ve had, congrats! My name is Deb and i am in a bit of a pickle. Well first i have Type 2 diabetes, 2nd i have no gall bladder and 3rd i am overweight. With no gall bladder i cant eat fats not even healthy ones. Oh man that is tough. I’m not a doctor so I can’t advise you but I would suggest looking up Dr.Eric Berg, I’ve heard him mention people without gallbladders doing keto but again you’ll need to find out from a doctor. Hi, I am new to keto. When you talk of percentage, is it by weight or calories? carb: 10.5%, protein: 37% and fat 53%? I added the weight of the 3 and calculated the percentage for each one. Is this the correct way to calculate? I would suggest using a keto calculator on the various websites I mentioned like Maria Body Mind Health or Ketogains. 20 net carbs, not total carbs. So I subtract the total carbs from the fiber to get my net carbs. It should be just 5% of your day, just like the chart I posted, protein can range from 15-25% for my body that is anywhere between 60-80 grams a day and the rest is fat. Ok. Thanks I’ll look for the keto calculator. Nope I could never give up coffee. I was having a bullet proof coffee in the morning to get keto adapted, using MCT oil and kerry gold butter but now just have it with heavy cream and liquid stevia. Brenda, here is the link to the article. From what I have been reading the diarrhea is not uncommon. I had been using KCT oil in my coffee and smoothies, that compounded the problem. I have tried several of the suggestions this article suggested and it has been a great help. My wife and I were wondering what fat sources are you using. We have been trying to get more fat into our diets. We do use butter, sour cream, full fat dairy products, and changed our hamburger meat back to 85-15, most of the time. Super love your articles, they show you care. That is what is missing in today’s world. Help! My skin looks terrible on keto, I resemble a dried up little apple head doll, even with coconut oil and lots of water. Any advice? Yes, some ideas on meal plans and very easy recipes would be very helpful. I’m 67, very overweight, diabetes, high blood pressure. My big love are all the carbs. This way of life seems impossible to me, all that fat just doesn’t sound appealing. I can’t see how to eat that much fat a day. Years ago, I did try Dr. Atkins diet but I had a very hard time with the very limited carbs. But now, I need to something drastic but haven’t a clue how to start. This was very good general. 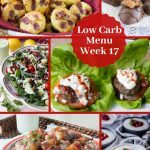 I would love to see a menu plan of what you actually ate between low crab(like a sample day) and Keto. I also found it encouraging that it took you moths to be keto adapted even though you were already doing low carb. Is this because you found it hard to cut out the carbs? I have been trying to do Keto for weight loss and clear mind and focus since the end of December. I did well the first week, then had a bad day and got back to it.. I have a good week and then a bad day and that’s been my cycle for 3 months. SO I have lost some weight 12lbs, but I really need to lose more. Nothing else worked for me to lose weight, My body really likes to hold onto its fat, most likely due to that it doesn’t process stress well and I have a high stress lifestyle. Any suggestions would be much appreciated. Thank you, I love your blog. I think I might have been in ketosis sooner but after 1 month I took my blood test at night and I was surely in and I had felt all the good effects of it too, like no hunger between meals etc. It wasn’t difficult to reduce the carbs to 20 net because you’re replacing it with good healthy fat which is so filling. I think my body likes to hold on to the fat as stubbornly as yours and I agree stress doesn’t help, but I have always been a slow loser. I’d suggest taking measurements and body fat and pictures so you can see the difference. If you really think you’re not progressing you may have to reduce calories too. I love the way I feel when I’m on keto. I got off and am desperate to get back on. It’s just a little rough the first few days. I lost 93 pounds in about nine months. I have over 100 to lose. I love your comment, “Don’t blame the butter for what the bread did!” I’m taking that with me! I need a t-shirt for that phrase!! Just discovered you, Brenda. 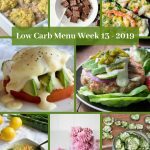 Loved your experiment with keto vs low carb. I’m 76, 5’2″, 195lbs. Went on atkins years (!) ago, loved the energy, well-being, and weight loss. Then got lazy, fell into old habits and weight climbed back on. You’ve inspired me to go keto again with an updated keto plan. Where/how to start over? I’m glad I inspired you! I’m also concerned about keto while traveling, I’ll be heading on a cruise soon to Jamaica, and Mexico! I will be documenting my time and trying my best to stick to keto or as low carb as possible. I’ve not been on keto for very long but everything I’ve learned and read would suggest it’s not a problem for the kidneys. I’ve found lots of info through Jimmy Moore, Dr.David Jockers and Dr.Eric Berg. I don’t know anyone doing keto with cardiac issues, but yes for diabetes. I’ve noticed though many doctors are not promoting keto at all and it’s disappointing to be honest. I hope you’ll find out what works for you or at least your doctor will research it before saying it isn’t a good idea. Anyway, sound advice can be found from Jimmy Moore who has been doing keto for years and years and his website and podcasts are full of interviews with doctors. He’d probably be the best source of info for your condition. Best of luck to you! Hi!! I have been following you since I started Keto…. Dec 26, 2017. I have lost 41 lbs since then and in the last 3 weeks I can not seem to get the scale to move nor are the inches changing… I am 58 yrs old and lightly active (I work in retail and am on my feet all day.. 10 hrs per day… operating register, stocking soda, candy… putting grocery truck away) I have been running my macros at 16 carbs (I do not do net) fat 97gm and protein is 78gms which is for my calorie intake of 1258 5/70/25…. I am at a total loss as to what steps I need to take…but for the most part I generally only get in 700-900 calories per day… I am just not hungry. Days off are nightmares…. it seems all I want to do is eat… I have NO “bad” foods in my house… I mostly eat veggies on my days off… asparagus, broccoli, zucchini, cabbage, radishes cooked in an oil of some sort olive, avocado, sesame……. I dearly love tomatoes but eat them sparingly. Got any suggestions?? That will help me get off of this plateau? 41 pounds is wonderful! How much more do you feel you need to lose? I honestly think you’re not eating enough with just 700-900 calories and then you’re body is craving and hunger when you are actually home. I would suggest trying to be more at 1000 -1100 on each day consistently and give it at least a month. I’ve not quite figured out the plateau area yet for myself and since writing this post my weight hasn’t budged and it’s been 3 weeks so I am working on changing some things and will update if I have success with it. Also I forgot to mention Intermittent Fasting? Have you tried that? Dr.Eric Berg on youtube has a lot of info on that if you’re interested. Good luck! Great info and congrats on your success! I have been keto since August, lost 30lbs, and my kid/family are low carb. That’s wonderful congrats to you! I’ve been doing keto on and off for a year. Before that, I explored eliminating “inflammatory” or “reactive” foods based on another eating program. I have Celiac and autoimmune issues and I think one of the reasons people stall with Keto is because they are eating too many typically “inflammatory” foods–foods that your body has a harder time digesting and as a result create systemic inflammation which, in turn, cause weight loss plateaus. For those trying to fight through a Keto Plateau, I would suggest eliminating ALL dairy (try subbing ghee for butter), artificial sweeteners (including stevia and erythritol) and all nuts for 5 days. I know it sounds close to impossible but all three of these Keto staples are some of the biggest culprits of inflammation in the body. I found this suggestion on another Keto website and tried it and dropped 6 lbs in 5 days. Another typically inflammatory food is Eggs. If you can’t eliminate all of these foods at once, try eliminating one at a time for a minimum of 5 days and see if there is any movement on the scale. For those who have stalled, chances are at least one of your Keto staples is holding you up. Good luck! I’ve noticed this to be true for me. No nuts and limited dairy has truly helped me. 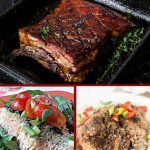 Looking forward to a post from you on what to eat daily on the Keto diet. I honestly have no idea how to start, can you help? hi . i need to start keto. my macros are 17 gram carb , 113 grams fat and 68 grams protein . i have looked at many recipes . i have tried to make a personal meal plan for myself . im struggling big time to get it all to telly. In a day , should only the carbs balance out ? By that I mean the meals I’m having for breakfast lunch and dinner should all add up to 17 grams of carbs but then my fat amount goes a bit higher and the protein I can’t get to only 68 grams. I have looked at diet doctor recipes and it’s all mind boggling. I don’t know how to plan my meals . Can you please give me suggestions and advice ? Have you used multiple ket calculators like the ones I mentioned? I used 3 different sources and all a little bit different. I averaged for myself what I felt would be doable and try my best to stick with 5-10 grams of each category. I would love to start doing the keto diet, but have no idea where to start. Any info you can give me or point me in the right direction would be greatly appreciated. I started Keto back in March and have lost 20lbs but now I am stuck. I hit a plateau and can not seem to get past it. Do you have any suggestions? I find I get frustrated and I turn to foods I should not eat. I need ideas of how to get over this slump I am in. Hi Brenda, I have been gathering your recipes on Pinterest for a while. I had weight loss surgery, have been maintaining my weight loss for over 3 years now. However the sugar addiction is real, and although I am thin now I just don’t feel healthy! I eat healthy for the most part but a lot of chocolate and pastries when the kids are in bed! I have been researching Keto not only for me, but my 9 year old son as well. I am worried about his weight, he is very husky,and I am scared that he will struggle with the weight and health problems I struggled with for years as he gets older. I have read many good things about keto for kids, and not just for weight loss. I have tried a low carb high protein diet with him but after reading about macros and counting protein and calories, realized I had been doing it wrong. What are your thoughts on children being on a keto diet? My children are on a low carb diet but have the occasional treat with Dad and friends with parties etc. I’m undecided on keto for children unless the child wasn’t having success losing weight on a low carb diet. I think it would be best to speak to his pediatrician if he does have a lot of weight to lose. I can say being on keto does help with sugar and carb cravings more than anything I’ve ever tried. My friend Maria from Mariabodymindhealth.com has her children on keto 100% of the time. I began my low carb diet (around 50 net per day) almost 3 months ago. I have only lost 2 lbs. I need to lose at least 30. I am 62 years old and in good health. Everything I have read leads me to believe that I am doing everything correctly. I even make my own Keto bagels! What do you think could be the issue? I tried going down to less than 20 carbs but I just cannot do it. Thanks for any help you can provide. 50 NET carbs is quite high because you are probably eating more like 70-100 total carbs. If you can cut down to 30 NET carbs you may see results. You really need to make sure you’ve upped your fat so you won’t be hungry. After writing this post I’m now actually counting TOTAL carbs instead of NET and sticking to just 30 total carbs a day which is what has helped the scale move. Also be sure to get other measurements for yourself besides the scale. You could be losing inches and fat like I did for the 6 week pics. It was a massive weight loss with the Keto diet. The best part is there is no side effect. Thank you for this post, very accessible and informative, and thank you also for all you contribute to the low-crab cause.Thanks for sharing. I am new to this group and new to keto. I am looking forward to learning from you all. I do have one question…It looks as though we should decrease our protein intake, but most of the approved foods seem to be protein. How do I decrease protein on Keto? Thank you! Strangely the best recovery food I’ve ever found is greek yogurt with unsalted potato chips (weird, right?) but I don’t get sick in the morning if I eat this after a workout….but obviously potato chips are a no-go on Keto…So I’m not sure what to replace it with. I used to almost pass out while at the gym before I started drinking electrolytes while working out. I don’t need any food after I work out. I usually wait an hour sometimes more before eating my first meal. 9 1/2 years , but just in the last 6 months I balooned up to 200 then 210 and at this exact moment 225, I’m only 5’3″ , . I’m so depressed , I don’t have much of a support group , IS THEIR HOPE FOR ME? THANK YOU. Brilliant to see, really good. Just shows you low carb is only the start, the keto is the key to burning fat for fuel! Unless you burn off those carbs it isnt happening. Keep it going, sugar free mom still applies to keto so nothing lost! Next make sure you look at roles of magnesium and salt, and the key to keeping them high. 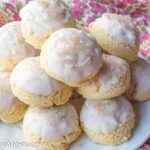 Hello, I found your recipes after reading A Year of No Sugar by Eva Schaub and needing some delicious sugar free recipes. I recently decided to try keto and am almost done a 2 week challenge (more low carb than true keto but have kept the carbs below 70g, except 1 day). My questions are is alcohol allowed in your view? I’m not a huge drinker but I do like a glass of wine with dinner. What about “cheat” days. I’m not planning to go back to eating all the processed foods but denying them completely seems pretty counter intuitive and I’m hoping for ideas. Last question, what about fruit? How can any food plan completely rule out fruit? That also seems unhealthy and I’m wondering if you think ekto should be used as a temporary weight loss plan, with low carb being the longer term plan? Thank you! And you look amazing in the photos. I’ve been on the keto diet for 3 years now, and I am keto for life. It hasn’t all been smooth sailing, though. I did initially lose 60 pounds in the first 8 months. The rest of the time, I’ve been stalled, and I’ve even started gaining weight. I believe the stall is due to being in perimenopause, as I’m 55. The weight gain may be due to that as well, but it’s more likely that I’m not being strict enough due to discouragement. I started feeling like it didn’t matter much because I wasn’t losing weight and was even gaining. Also, I’ve never counted my macros and really don’t want to. I think I’m also insulin resistant. I have some ideas about what I need to do now. I just need to get tough with myself. I actually started a blog about the keto diet because I believe in it so much and wanted to help other people. I haven’t posted anything for quite a while because I got discouraged and felt like I didn’t have anything to offer anyone since I’m not having much success anymore. My blood tests always come out really great, though. That in itself is enough reason to continue. I wanted to say that I love your blog and your recipes. I’ve been following you for a while, and yours is one of the few blogs that I continue to subscribe to. You look great, by the way! 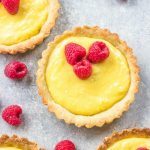 I recently tried your Lemon Cream Pie with the Coconut Flour Pie Crust, and it was so good. The crust is awesome, and I couldn’t even tell the pie wasn’t made with real sugar. Yum! Keep up the good work!